The Nigeria Football Federation (NFF) has told Chelsea wingback, Victor Moses, to be more committed to the national team or miss out on winning the African Footballer of the Year award. 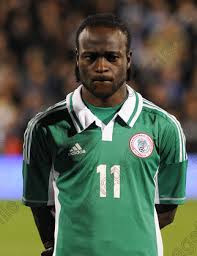 Moses reported to the team’s camp ahead of the friendly against Senegal, but returned to the Premier League club, after claiming he was carrying a knock. In an interview recently, NFF President Amaju Pinnick, said: “Moses needs to understand that with his current performance with Chelsea, he stands a chance of becoming the next African player of the year, especially if his club should win the EPL title. Moses was expected to feature in the second friendly against Burkina Faso, which has now been called off.